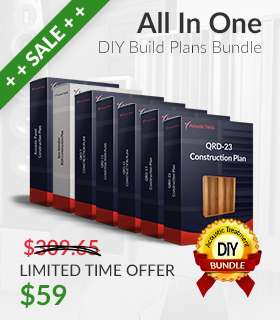 I just downloaded the BDA DIY plan. I’m from the Philippines and we’re using metric system here. Looking at the metric part of the plan, the height is 1228.4mm. Can I make modules is half this size to make it easier to stack? I plan to make only 4 units at this time. But to make it more ‘modular’ I was thinking of making 8 units that is only 614.2mm tall (all other dimensions remain the same) making each module lighter. Will this perform the same or will the smaller surface area of the 2 front wall affect the performance? T, You can change the width and height but not the depth.